Harris has been the standard-bearer for a handful of years now when it comes to covering the slot, and he continued to thrive from that spot in 2018. In total, Harris allowed 40 catches on 64 targets for a total of 365 yards and a touchdown to go with three interceptions. Out of the slot, he allowed 23 of 36 targets to be caught for 217 yards, no touchdowns, and two picks. Harris ranked second among cornerbacks by surrendering just a 57.3 passer rating when covering the slot and he ranked third among slot corners by allowing only 0.75 yards per coverage snap. Howard took a nice step forward during his third NFL campaign, finishing the season with a 75.3 coverage grade which bested his previous best grade by nearly 12 points (63.6 in 2017). Howard allowed 29 catches on 57 targets for 469 yards and four touchdowns to go with his league-leading seven interceptions (and he missed four games at the end of the season). 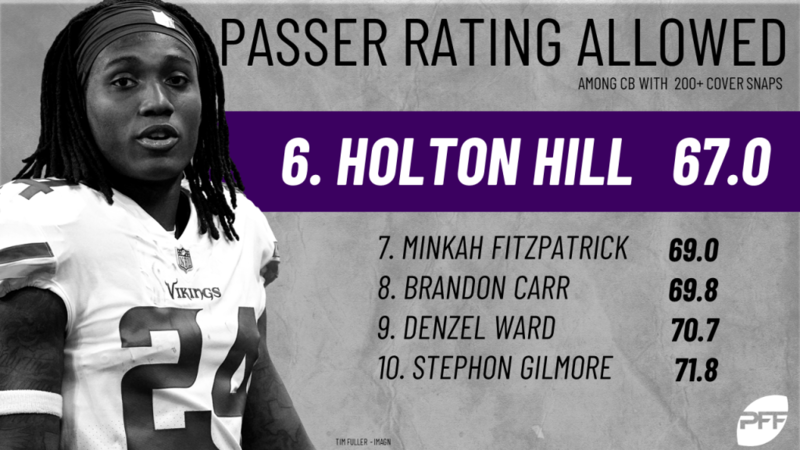 The former second-round pick held opposing signal-callers to a sub-100 passer rating when targeting him in coverage in 8 of 12 games last season. As a rookie, Maddox allowed just 18 catches on 33 targets for a total of 218 yards and a touchdown to go with two interceptions. The fourth-round pick led all qualified cornerbacks by allowing a reception just once per every 21.7 coverage snaps, and he ranked second among the group by allowing only 0.56 yards per coverage snap. Maddox’s best game of the season came in Week 15 against the LA Rams; he surrendered just one catch on six targets to go with an interception and a pass breakup. 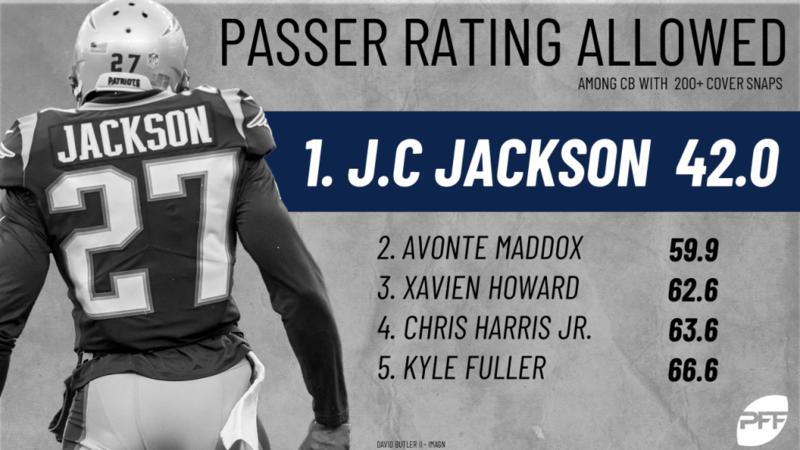 No qualified cornerback allowed a lower passer rating to opposing quarterbacks this season than Jackson, an undrafted rookie out of the University of Maryland. Jackson allowed 22 catches on 42 targets for a total of 262 yards to go with zero touchdowns and three interceptions. The former Terrapin ranked seventh in 2018 with a 21.4 forced incompletion rate and his grades match the production, as his 82.4 coverage grade ranked 12th among all qualified corners.